Albany, NY – While politicians are celebrating news of Amazon’s selection of New York City for a HQ2, the Upstate Jobs Party (UJP) today expressed frustration with this week’s announcement that the State and City of New York have extended a joint offer calling for $3 billion in taxpayer funded incentives to have secured Amazon’s decision. This continuation of misguided and wasteful job creation policies have plagued our State for the past 30 years, resulting in corporate cronies being enriched even while our top talent flees Upstate. The project announcement on Tuesday included more than $1.7 billion in incentives from New York State, including a dedicated helipad for the richest man in the world, Jeff Bezos. In addition, New York City planned incentives for Amazon totaling $1.3 billion, meaning the total incentives provided to the largest business in the world reached $3 billion. 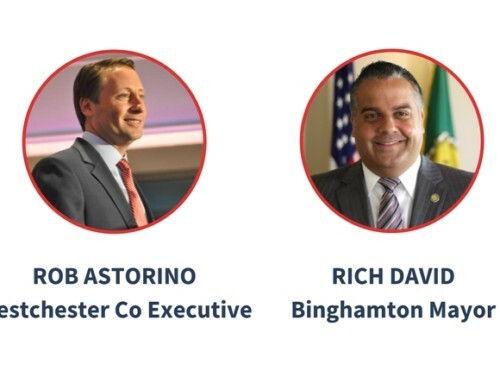 New York State currently engages in an outdated, flawed and failed economic development approach that allows elected and appointed State officials to substitute their politically motivated opinions for market realities and business principles. The result is a scatter-shot and corruption-inducing system that is neither economical nor driving holistic development. One of the biggest problems the public sees in economic development programs is the dedication of public funds to private companies that were already going to make the same business decision. In this case, there were almost no other metropolitan regions on the East Coast that could provide the necessary workforce identified by Amazon, meaning the New York metro area would have been needed as a location for Amazon regardless of incentives offered. 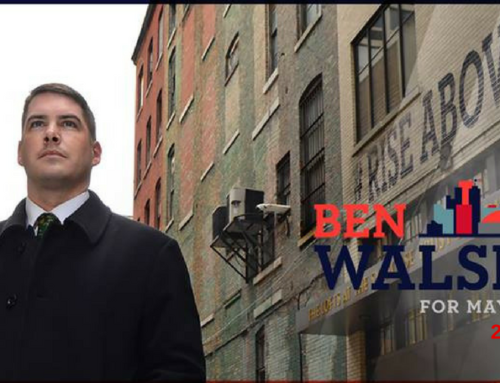 This is a blatant waste of taxpayer money that could have had a far greater impact in a region of significantly higher need in Upstate New York. There is a better way. Instead of giveaways, UJP believes in fostering an environment that leverages private sector investment and growth by creating new companies and jobs in innovation industries. Instead of shipping our tax dollars to Seattle and our young people to Silicon Valley, we must support them here by promoting student entrepreneurship and expanding pathways to connect emerging entrepreneurs with business professionals both locally and beyond community boundaries. Institute strict ethics standards that bars large donors from accessing incentives for personal gain, such as was seen with the Crystal Run fiasco. “The Upstate Jobs Party is committed to ending corporate giveaways and instead investing in New Yorkers. We can’t keep repeating the mistakes of the past and watch more of our best and brightest talent flee Upstate New York, hollowing out our communities and breaking family ties to pursue opportunities that they don’t find here in our region,” added John Bullis, UJP Chairman. The UJP is continuing to grow its network – volunteers interested in joining the effort to create more jobs in Upstate NY, keep our best and brightest talent from leaving to pursue opportunities elsewhere, and build a strong economy throughout the region are encouraged to visit UpstateJobs.com to learn more. 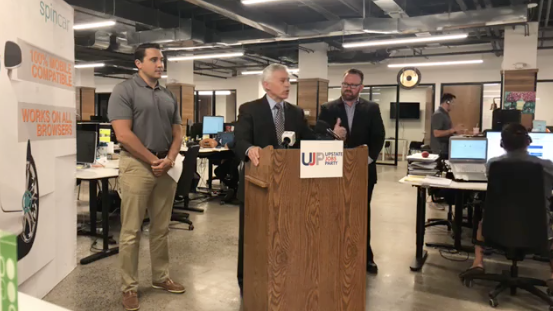 Founded in 2016, the Upstate Jobs Party is a movement built upon a simple focus of fixing the broken Upstate economy and stopping the outflow of our talent by overhauling economic development programs and reforming State government. 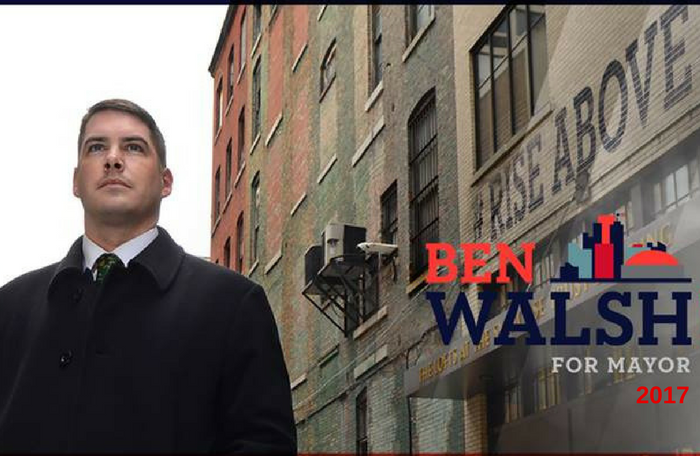 In 2017, UJP supported independent candidate Ben Walsh, who successfully upset the political establishment by winning election as Syracuse Mayor on the UJP line as the first independent Mayor in Syracuse in more than seven decades. 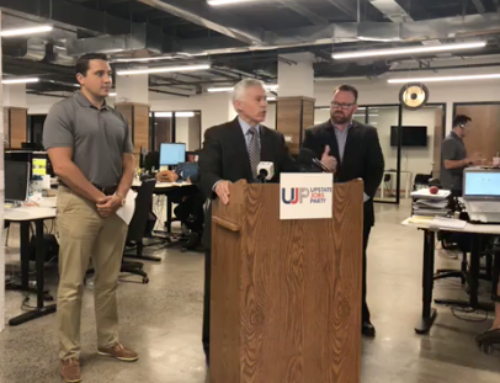 This year, UJP announced that New York State Senate Candidate Bob Antonacci would be running on the line for the 50th Senatorial District in Syracuse. Following that announcement, UJP endorsed Democrat Carrie Woerner for reelection to the State Assembly and Republican Daphne Jordan for election to the New York State Senate. All of these UJP-backed State legislative candidates in 2018 were elected, broadening the movement’s network in Albany.